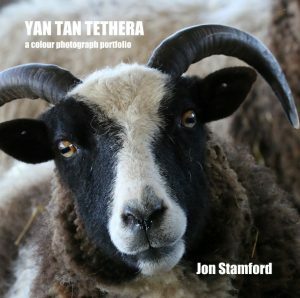 YAN TAN TETHERA is a portfolio book of entirely colour photographs, in large format and printed on very high quality paper. The book is a complement to ROCK PAPER SCISSORS, has 226 pages and many previously unseen photographs. Most are digital but there are a significant number of old-fashioned analogue images. The book is privately printed in an extremely limited edition of ten. Each copy will be numbered and contain a signed personal message to the buyer. Contact j_a_stamford at yahoo dot co dot uk for further info, price and availability. Place the book title in the subject line of your email.